Co-founder of M’GO Films, Panuksmi Hardjowirogo is a media producer of film, TV and immersive multimedia museum installations. She privileges collaborative projects that take their inspiration from the intricate stories rooted in Southeast Asia. 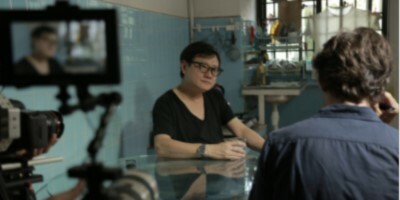 She is credited as Executive producer on films: (re)Surfacing (2015), Southeast Asian Cinema - When the Rooster Crows (2014) and HERE a feature film by Singapore artist, Ho Tzu Nyen in 2009. Other producing credits include Signature Conversations (TV series), Six international creative minds (2012), The Legend of the Impacts (2013) and Expat Asia (2011). Her upcoming producing credits will be for Leonard Yip's feature film The Block, expected to be released in 2018.